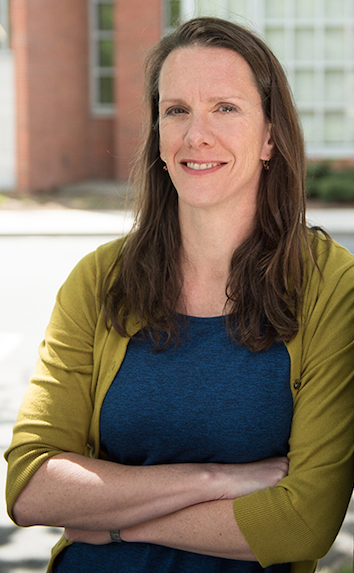 Kate, a chemistry professor at Smith College, joined the Board of Trustees in 2008 as an alumni trustee and was appointed a term trustee in 2013. She has served Williams as an associate class agent for a number of years and is currently a member of her class’ 25th Reunion Fund Committee. At Williams, she majored in chemistry but was equally enthusiastic about her studies in the humanities. She completed an honors thesis on computational modeling of biochemical kinetics and was elected to Phi Beta Kappa, worked as a writing tutor and a calligrapher for the athletic department. She also was (and still is) a dedicated athlete, running all four years as a member of both the cross country and track and field teams. After graduating Kate spent a year in Australia on a Fulbright postgraduate fellowship, then attended graduate school in physical chemistry at Harvard University, earning her Ph.D. in 1998. She did a two-year stint as a postdoctoral fellow at Bell Labs, then a division of Lucent Technologies, where she studied reactions related to gate oxide growth on silicon surfaces. Since 2000 Kate has been a professor at Smith, where she teaches a range of courses in general, physical, and analytical chemistry and has served as department chair and as the college’s inaugural Faculty Director of Advising. Alongside colleagues from other science departments, Kate has been active in establishing, sustaining, and assessing programming at Smith that seeks to foster success in STEM fields among all students, including those from historically underrepresented and underserved groups. Her research currently focuses on the role of surface chemistry and topography on biofilm nucleation. She has received Smith’s Sherrerd Prize for Distinction in Teaching and has been a recipient of an NSF CAREER Award, a Henry Dreyfus Teacher Scholar Award and a Cottrell Scholar Award from Research Corporation. Kate lives in Amherst, Mass., with her husband, John Staudenmayer ’92 (a statistics professor at UMass Amherst), and their two children, Charlotte and Patrick. She is part of a masters running team and competes in triathlons. As co-captain of the local cycling club’s triathlon team she particularly enjoys introducing new adult athletes to the joys of track workouts.